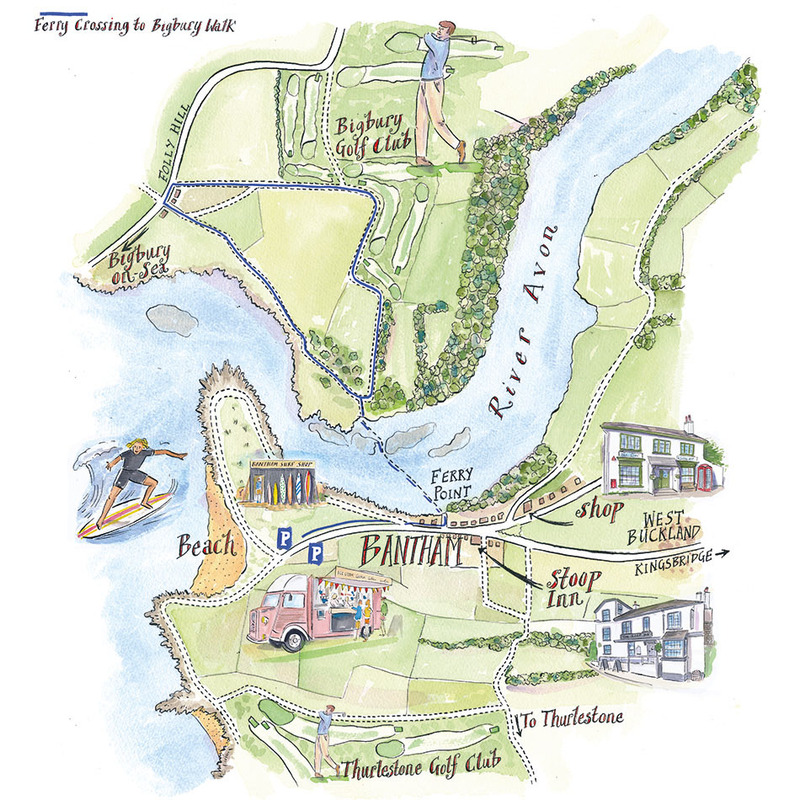 Great Tew in North Oxfordshire and Bantham near Salcombe in Devon are two very different, beautiful country estates, with walks through both areas encouraging visitors to explore the local surroundings. 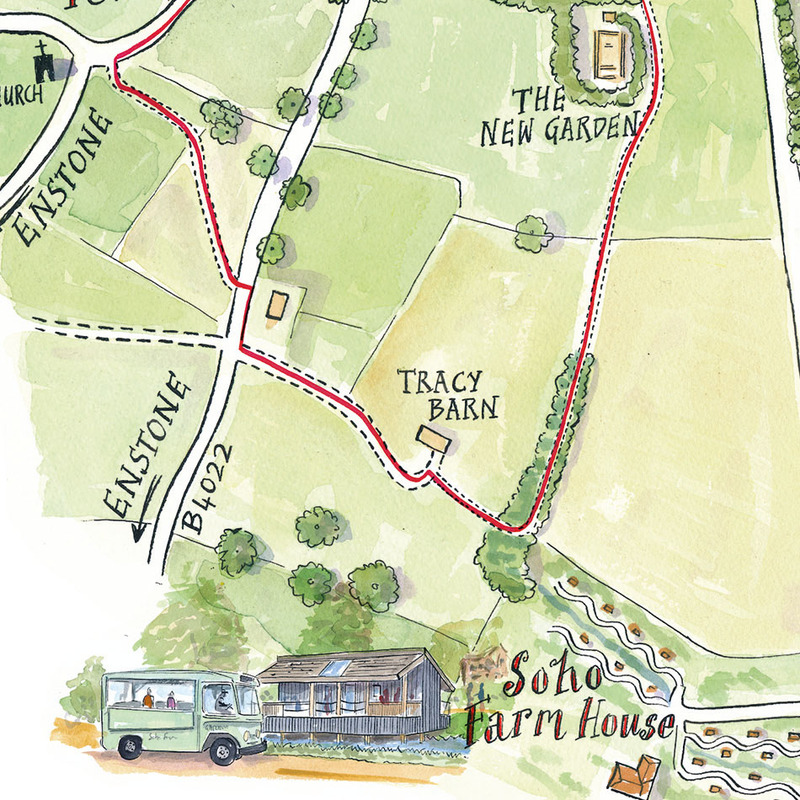 The Great Tew Estate contacted Lovell Johns to create a series of artistic maps, having seen a suitable style of map on our website. We were supplied with existing plans to help agree the mapping coverage, along with photographs of key elements to be highlighted on the map as individual illustrations. We produced an initial pencil sketch to show the locations of landmarks and other key structures, which was approved by the client, before the final and full coloured versions including the hand-drawn lettering. It was important that the illustrations could be moved around, as some of the locations are variable. So each of the images were placed on a separate layer, in order to allow the map to be easily edited. The routes were then added once the map bases were complete, and versions of each map saved off as individual files, each hand annotated. The whole project took less than two months from original inception to the supply of final maps. 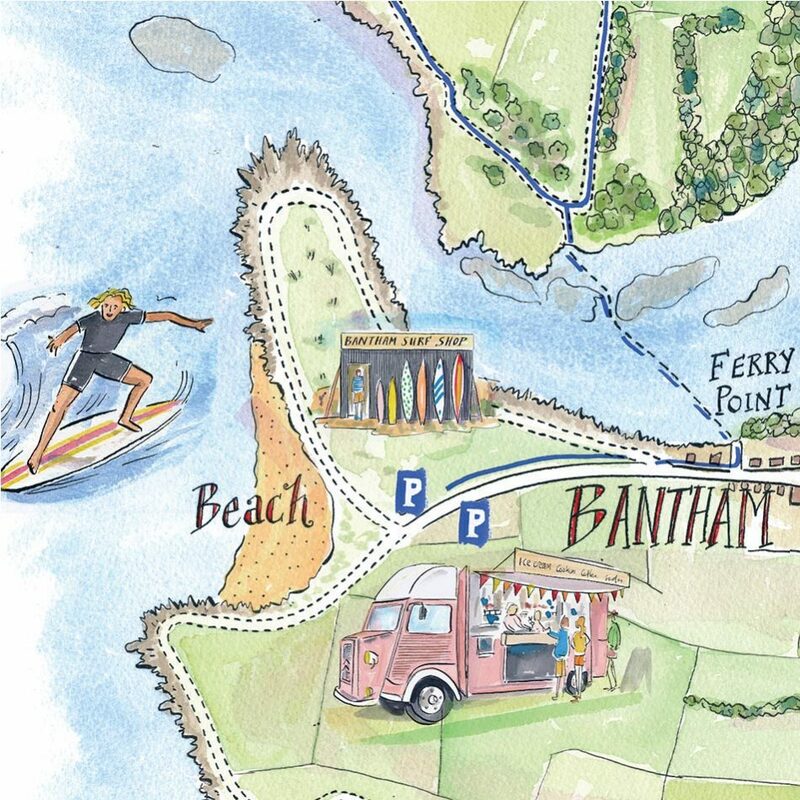 A total of four maps were made for Bantham and three for Great Tew, as well as one of each estate showing all the walks. 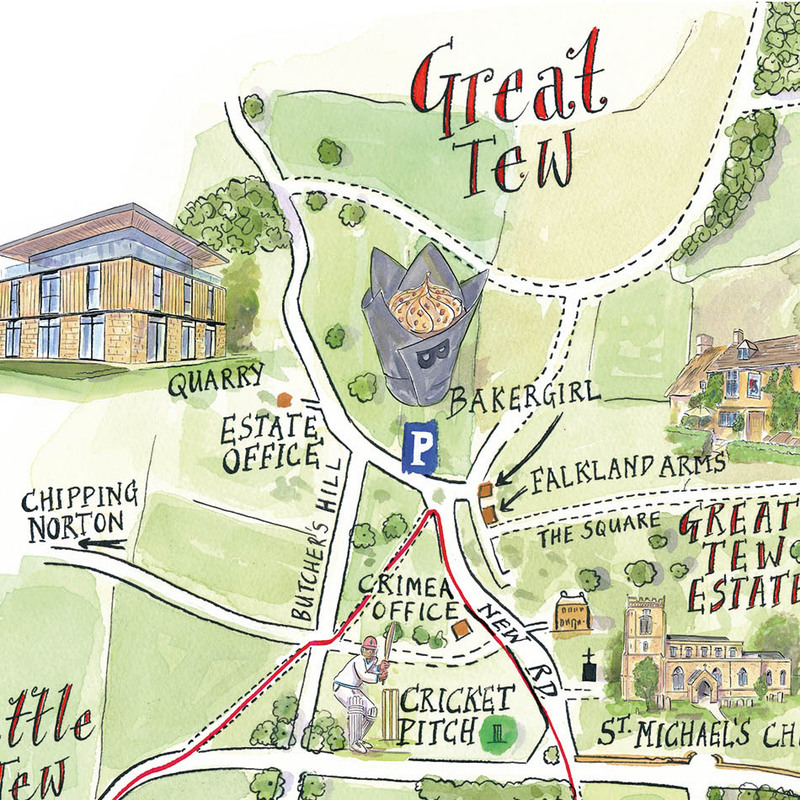 These illustrated maps have been very well received and are now published on the Great Tew Estate website at .